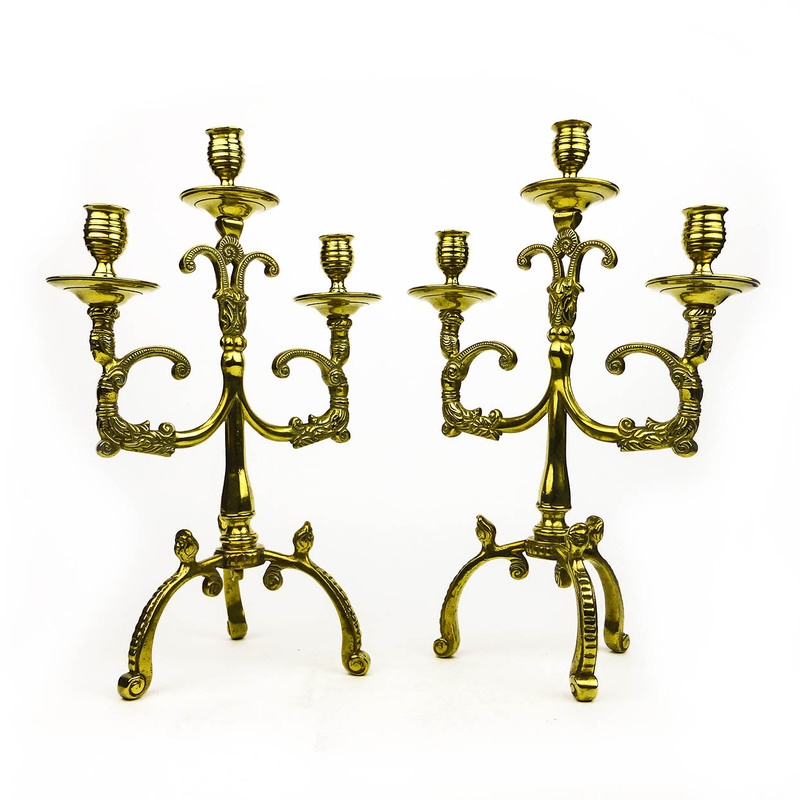 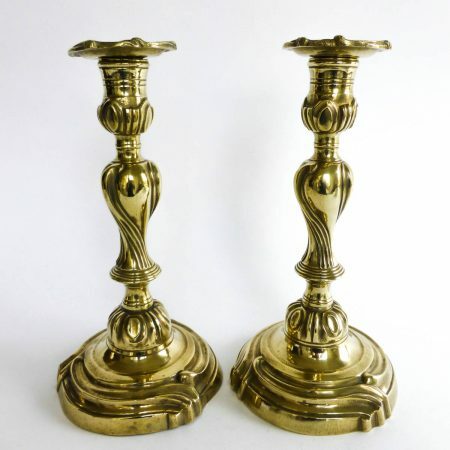 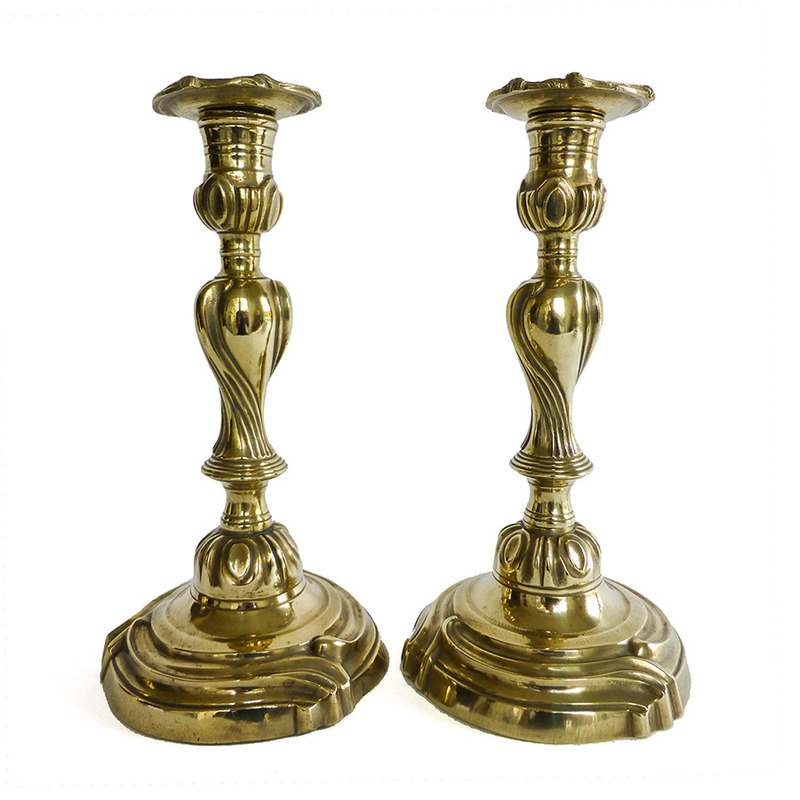 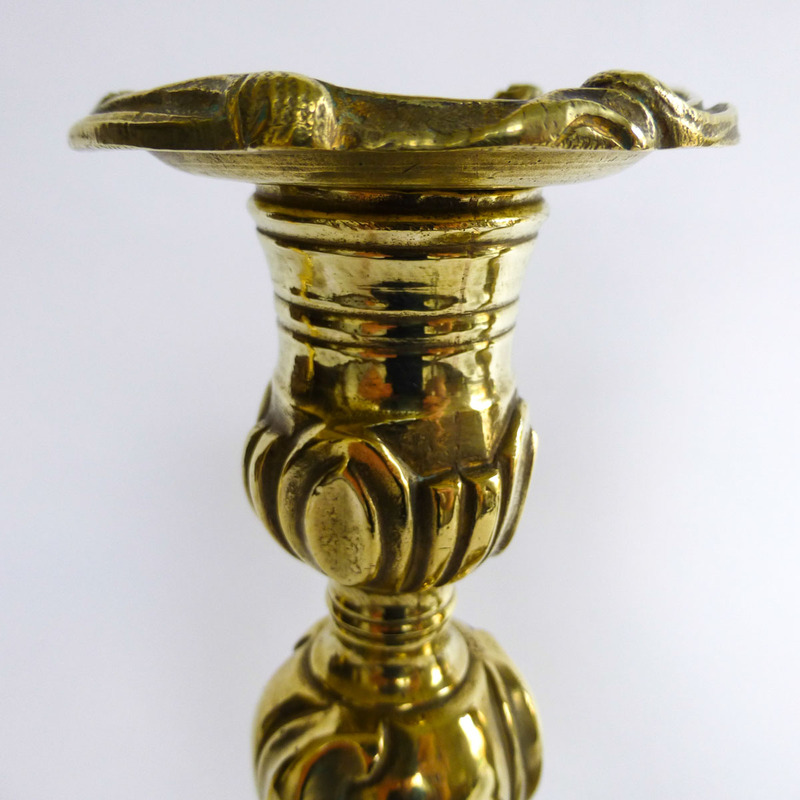 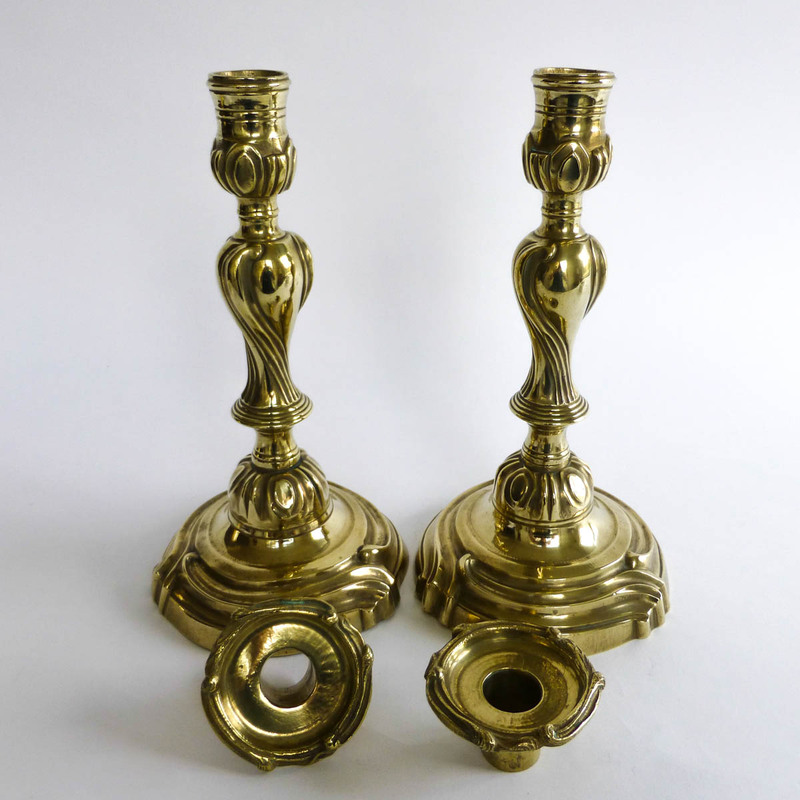 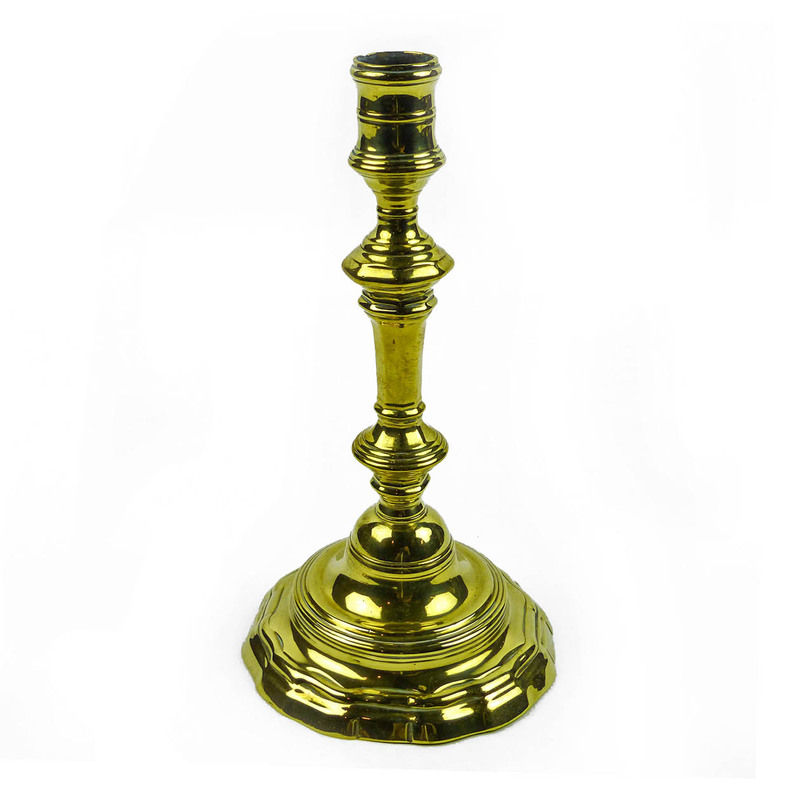 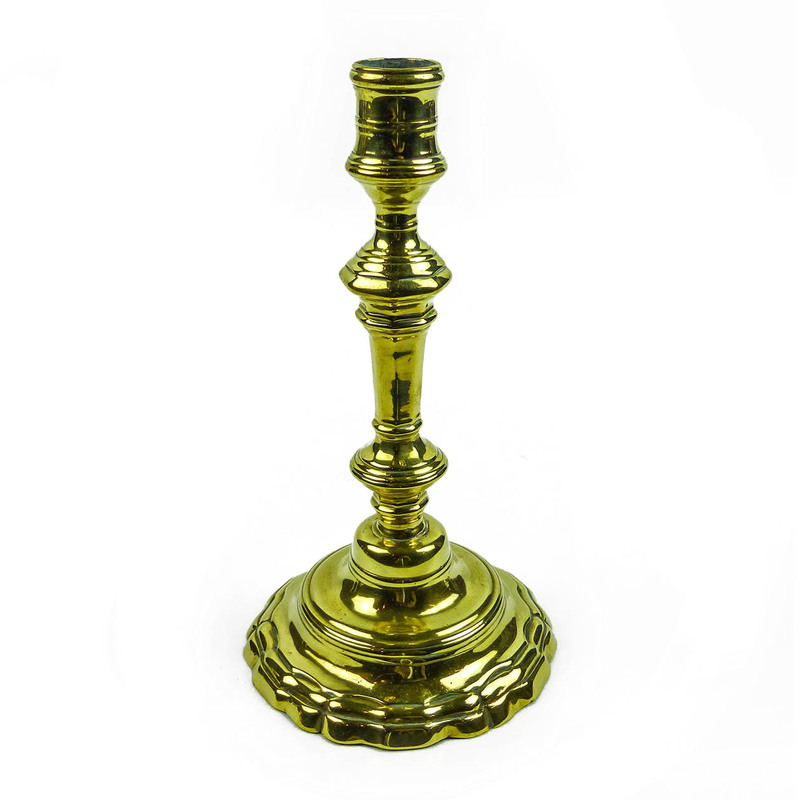 A Pair of French Mid 18th Century Brass Rococo Candlesticks with Removable Bobeches. 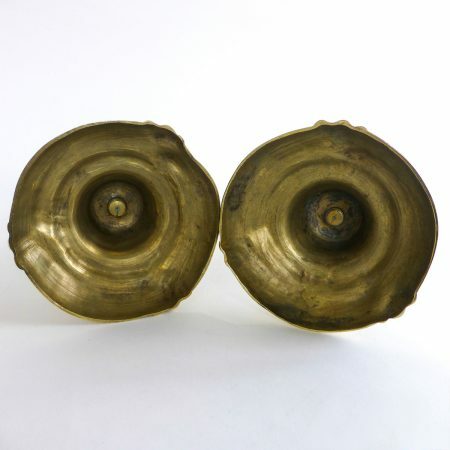 Seamed Construction. Mint Condition.